He has an All Ireland club medal, U21 winner's medal, three All Stars, two league winner's medals, a Fitzgibbon Cup and a couple of Leinister titles in his back pocket, but the one he really wants is up for grabs on Sunday afternoon. David Burke has been one of the finest hurlers for the best part of a decade, yet still missing is an All Ireland senior medal. The Galway captain has been one of the driving forces in their charge to this year's All Ireland final and it all comes down to 70 minutes on Sunday. Returning to Croke Park came down to the wire against Tipperary in the semi-final, but Burke says getting over the line in dramatic circumstances was a pleasing way to get back to Croke Park. “It could have gone either way, it comes down to small little things like that in games like that," he says. "We managed to work the score, that was probably the most pleasing thing - to get over the line and get the job done. "It wasn't the classic that it might have been last year or the year before that, but it was still an intense affair and it was a real battle in every line over the field. It was hard graft for possession, tight marking, all that you want in a game, hard to get scores - we were delighted to come through that game and win." Burke believes Galway are in a better position than they were last time they were in the final two years ago. "I think Kilkenny might have been waiting for us in the long grass as well that year. We were there or thereabouts but we managed to just fall away when Kilkenny upped the intensity and I think it will be very similar. Both teams will have their agendas, it’s just about matching that intensity and working through it and building on what we are trying to do in the game as the 70 minutes go on, and hopefully that will be enough to get us over the line." With both Galway and Waterford making the final and none of the most successful counties in this year's showpiece, it has added a bit of extra interest for the neutral, he says. But it does not mean Galway can approach it any differently. “You have to prepare for every game yourself and you do put a small percentage towards the other team in every game, and I suppose we’ll be doing that. But we'll be focusing on ourselves and what we can bring to the game. That doesn’t change, but not having Tipp or Kilkenny is probably a strange occasion for people watching on, but no one can complain that Galway and Waterford were not the two best teams in the championship this year. Even over the last few years we’ve all be knocking at the door against the likes of Tipp or Kilkenny. I think they realised that we have been a coming threat." 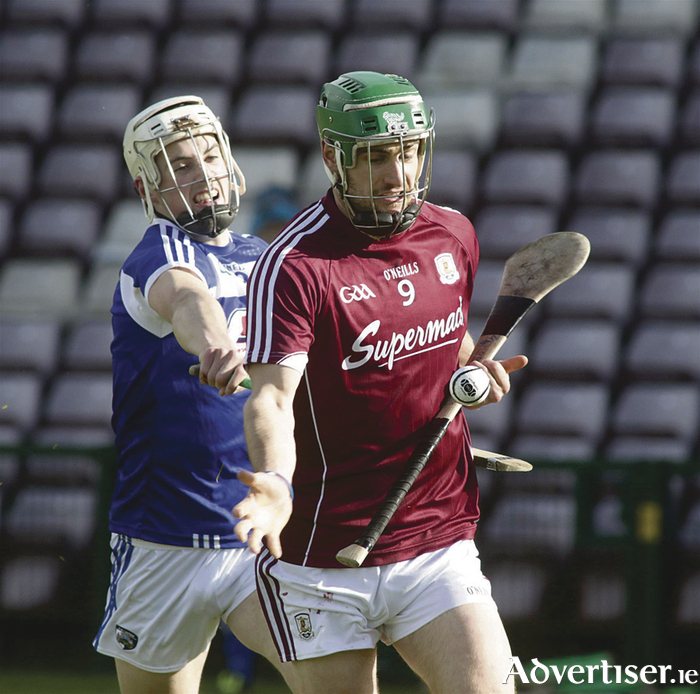 When Galway and Waterford met in this year's league quarter-final, it looked like Galway were heading for the exit ramp, but they dug deep, believed in themselves, and got a remarkable win. It is the one on which Galway can draw, according to the St Thomas' man. “I suppose it’s one of the games you think a lot about. We played Limerick the week before in the last group game - it was a bruising battle and we were down a couple of players, and all we were doing was building on our performance and what could we do to improve. We’d been starting slowly and we were working on that. "Again we struggled early on, but it was more our own mistakes against Waterford - there were missed passes, silly mistakes, easy frees. I remember in the second half saying to Johnny Coen, 'if we were playing a game among ourselves and were 10 points down, we'd probably come back and win it, and it’s no different', that’s the kind of approach we took and we went at it. "If we could pull out our half foward line a bit and get on top on their puck-outs, we could have a purple patch and that kind of happened. We just won ball after ball and closed up shop and it opened up completely at the other end of the field and we got a couple of scores. "Joe's [Canning] performance in the second half was immense, he got a couple of scores and the penalty brought us back into it. "Waterford obviously were using their whole panel and giving game time to them. People might forget that. It is the league, you have to give players chances to perform in games if they are going to be used in big games later on in the championship, that was part of it at that time of the year. "We beat them in league, but we can see from Tipp the league is very different. It went from 16 points to a point in it at the end [of the All Ireland semi-final]." The use of sweepers has been debated quite often this year again, but everyone does it at some stage, Burke says. "We've probably played more games against the sweeper now than anyone, probably played three games against it. We've played it too, so we’re well used to it. It works for different teams, you know Kilkenny played it at times. I remember thinking back after playing them in 2015 that Richie Hogan was sitting fierce deep in the second half of that game and thinking everyone was saying that they don’t have tactics, but they do. He was playing practically as a centre back and their centre back was sitting deep. That was them closing out a tight game and putting their stamp on it, they did it again this year against Limerick. "I suppose Tipp would be a more traditional team with 15 players, because they have such a serious forward unit and are all about speed and can really open you up when they get going. "It will be an intriguing affair, we both have had sweepers in place, so it will be interesting how we deal with that." Burke says it is going to be another massive test for Galway, but they will be ready for it. "I've massive respect for Waterford and their coach and their managers in what they are doing. It’s massive, and they seem to have built this process with Derek [McGrath] from school, along with De La Salle all along. "They seem to have this system, but it’s secondary in a way because it takes on a life of its own each game. They’ll sit down and analyse how we play and to try to counteract that, so it's a bit more of a chess game going into it I suppose. "It’s how we manage that early on and how we work through it. They are a great team, have improved massively, are in the top two or three teams over the past few years. Now they are the top two. "